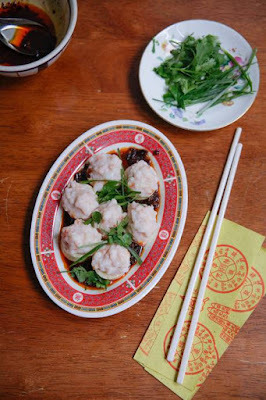 On Sunday The Independent published an article about a trip I took with their journalist, Holly Williams, around London's Chinatown to show her the wonderful array of ingredients you can use, and how easy they are to use them. This is a recipe using egg tofu, which I think is much maligned by people new to Asian cooking as it does look a little peculiar. There was only so much I could fit in the book, and compared to other forms of tofu this one isn't as common, so I had to kill it. But I do love it so, so here it is now. It's made by adding egg to the soy milk before it is coagulated to form and solidify it. 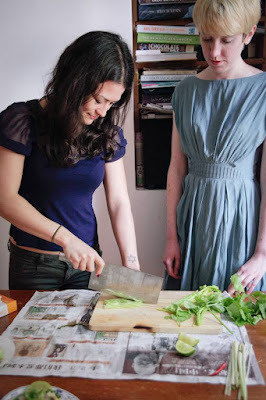 It's very delicate - when you slice to tube in half the egg tofu slides out like jelly. The egg gives it colour and a slight hint of rich egg flavour; it's really good steamed, and I also like to dust it in cornflour and braise it in sauce, or simply dust it in spiced flour (the salt and pepper tofu coating in Chinatown Kitchen is great for this) and eat it as a snack. This particular dish involves mincing up raw prawns and delicately piling it atop discs of the tofu, and then steaming it all together. Some have it as is, savouring the sweetness of the ingredients but I like to take it a little further with a spicy sauce to drizzle over. Here is the recipe -it's really easy, takes less than half an hour and it is best served with a vegetable side dish and a bowl of steamed rice. Smash the prawns with the side of a cleaver and chop finely. 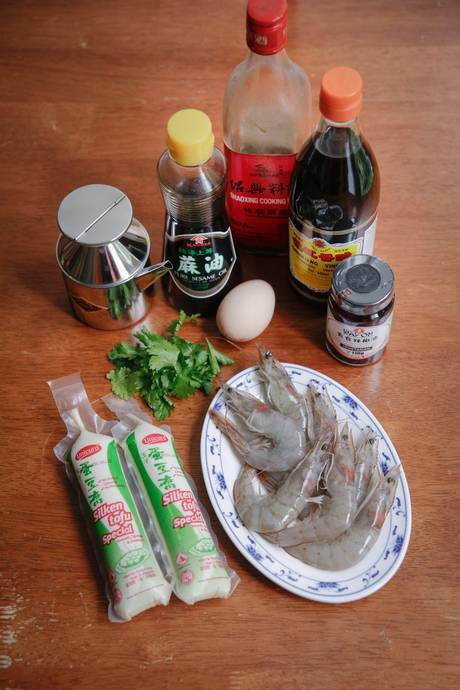 Place this prawn paste in a small bowl, then add the egg white, pepper and salt. Stir well. Add the cornflour and stir again. 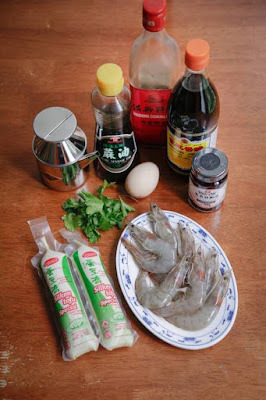 In a bowl, mix together the chilli oil, vinegar, sugar, sesame oil and soy, and leave to one side. Slice the tofu tubes in half and carefully squeeze out the contents. Slice into circles the width of your thumb. Arrange flat on a plate. Add 1 heaped tsp of the prawn mixture on top in a small mound, and place in a steamer. Drizzle with the cooking oil. Steam on a high heat until the prawn meat turns pink – this will take around 6 minutes. Remove carefully and drain off any water collected. Drizzle the chilli oil mixture around the tofu, and top with the coriander and spring onion to serve.